David Bowie: "We could be heroes, just for one day"
The year when David Bowie talked about “the starman waiting in the sky” and set up his own musical form in order to “discuss” space and our blue planet, I was arriving to this chronotope. Likewise, some years later when I started to dive deep into music and his “Let’s dance” album caused a sensation, the parents of my dear friend Effie bought her a vinyl sound system. It was such a pleasure that we decided to jointly finance the purchase of vinyl disks in a profound effort to create our own valid collection of albums but not only – we also decided that along with each vinyl disc we would record it onto a cassette in order for me to be able to listen to these albums on my own. So we decided to start, one Springsteen disc for her, and one Bowie disc for me. All Bowie’s albums were extremely good but “The rise and fall of Ziggy Stardust” literally melted. My relationship with Bowie was multidimensional, as I imagine it was for thousands of other people. This switching of roles and personalities was the most eccentric thing I had seen in an artist. Bowie taught us what transformation means and how to use “the ego” in order to serve the transmission of ideas, feelings and concerns instead of simply “cementing” an image. Some of his lyrics will remain immortal. Just take a look at your timeline on Facebook or twitter today and you will see the way people worshipped him as his songs and his lyrics are posted at a frantic pace across the planet. For the first time in my life I was so jealous of an artist’s personally dedicated autograph, when I was shown his dedication to a friend of mine. I also laughed with the “Ashes to ashes” dedication to young George during that “concert on request”. I am always listening with respect to his orchestrations with the support of great musicians, at home I constantly listen to his collaboration with Placebo. 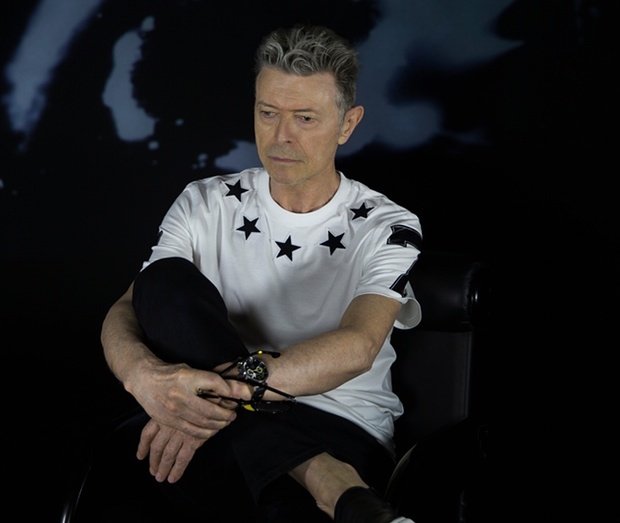 David, a deep philosophical attitude to life is required in order to circulate your new album and the video clips that talk about death, a few days prior to your – physical at least- separation from family, friends and people you love; to work on your new album knowing that you would depart. His own effort of acceptance of death is his last gift to all of us. I thank him with all my heart.